Added Original Huawei Phones More than 195 models are Supported !! Note: This is the 1st Public BETA version for Huawei Phones, it may have some kind of issue. Please if you encounter any kindly report. Note: This is the 1st Public BETA version for Meizu Phones, it may have some kind of issue, Please if you encounter any kindly report. There is many more models which could be supported also there is possibilities that there is some unsupported models from list. Make sure it's Installed "Android Adapter PCUI" Driver and port number should be under "256"
HUAWEI P8 LITE PRA-L21HN BOOTLOADER CODE AND BUILD INFO READ DONE. HUAWEI HONOR 8 FRD-L09 BOOTLOADER CODE AND BUILD INFO READ DONE. HUAWEI P8 GRA-UL00 BOOTLOADER CODE AND BUILD INFO READ DONE. HUAWEI ALE-L21 P8 LITE BOOTLOADER CODE AND BUILD INFO READ DONE. HUAWEI VNS-L21 P9 LITE BOOTLOADER CODE AND BUILD INFO READ DONE. 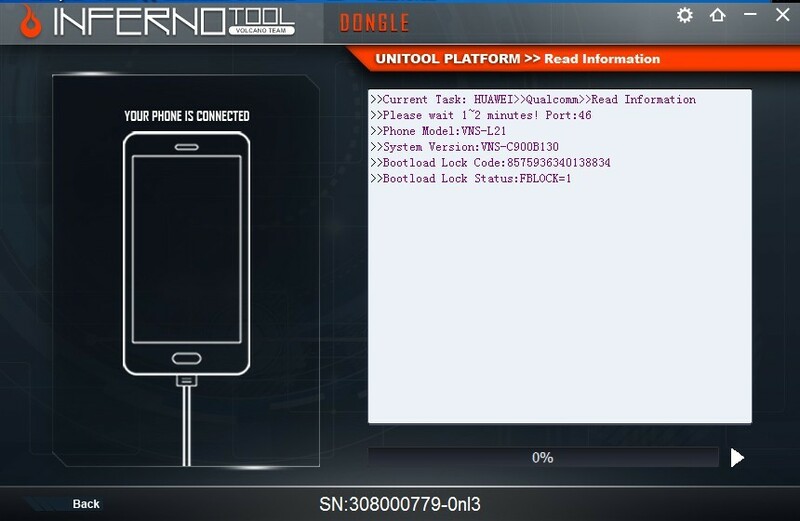 HUAWEI HONOR 4C CHM-U01 BOOTLOADER CODE AND BUILD INFO READ DONE. HUAWEI Y6II CAM-L21 BOOTLOADER CODE AND BUILD INFO READ DONE. HUAWEI VIE-L29 P9 PLUS BOOTLOADER CODE AND BUILD INFO READ DONE. Meizu M3s read extended info read flash and format (remove passcode) done.